Yes. You can add a reference to as many folders as you want. 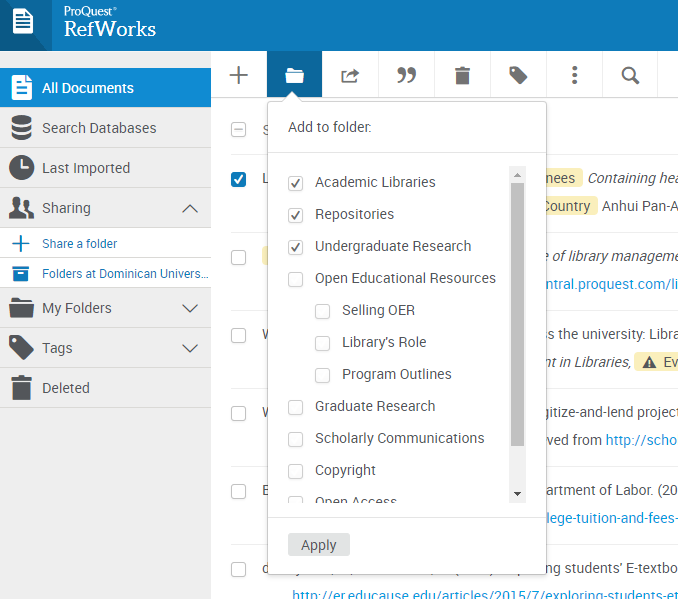 RefWorks does not copy the reference, it just “marks” it with an placeholder (your folder name(s)) and allows you to view or edit it from any of those folders.